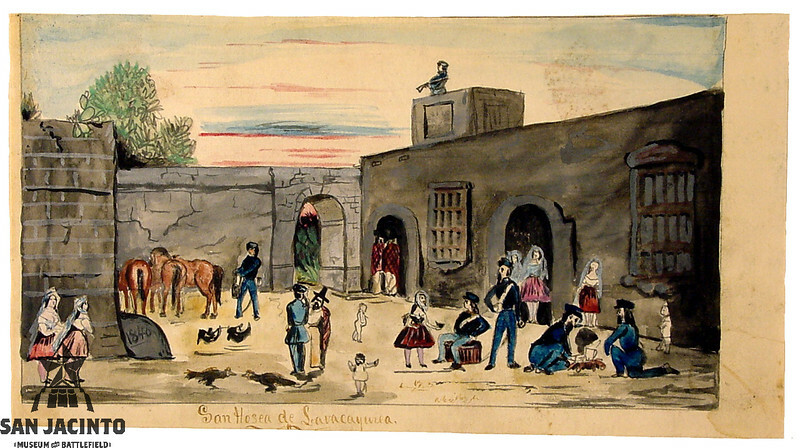 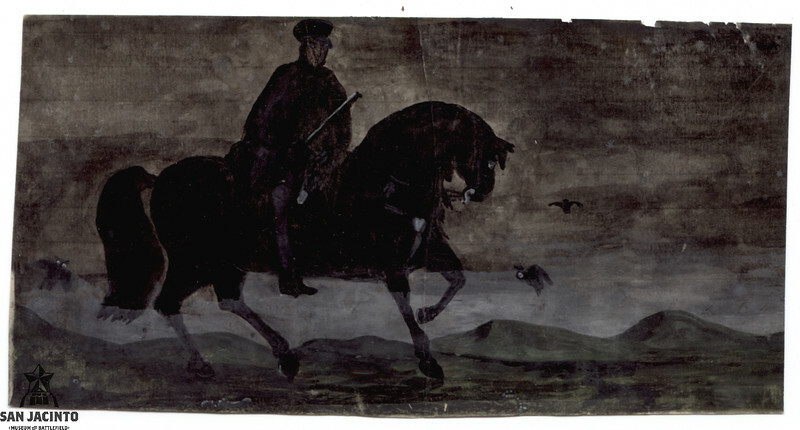 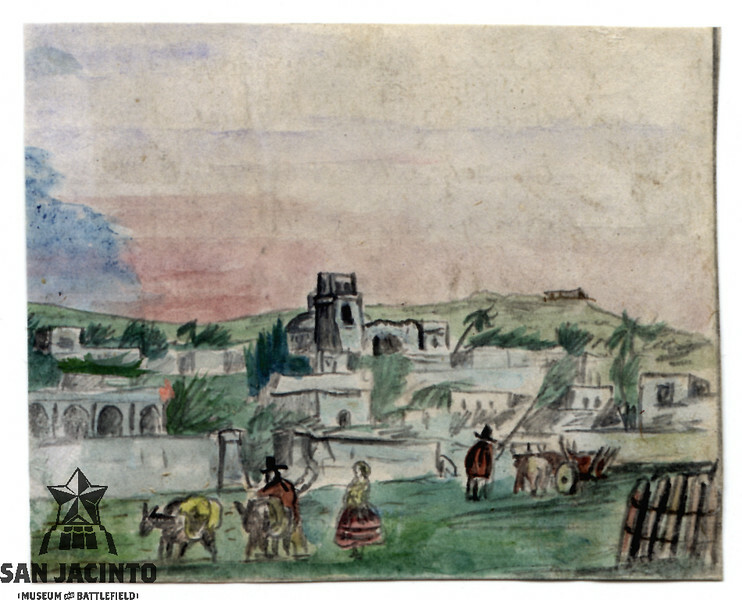 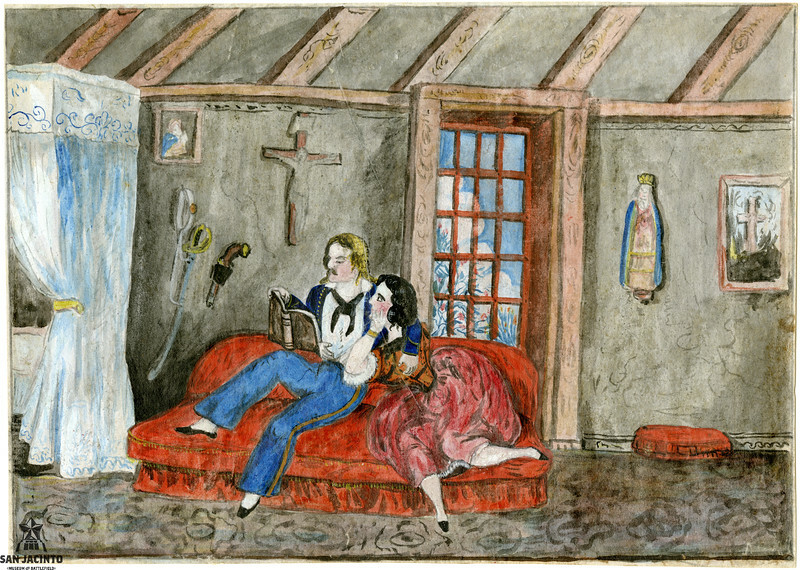 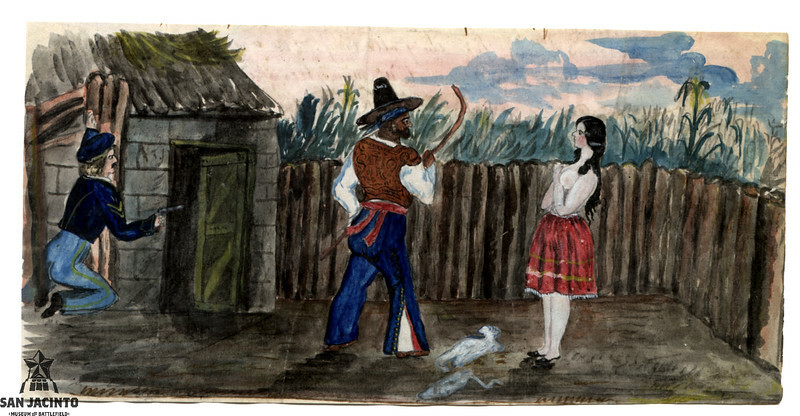 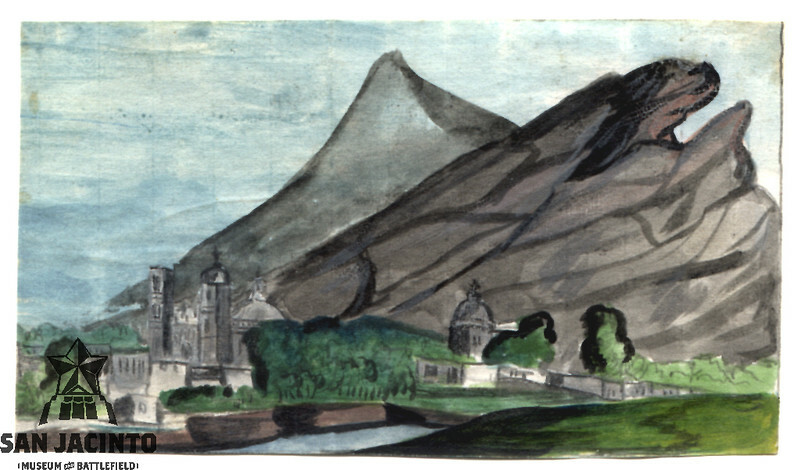 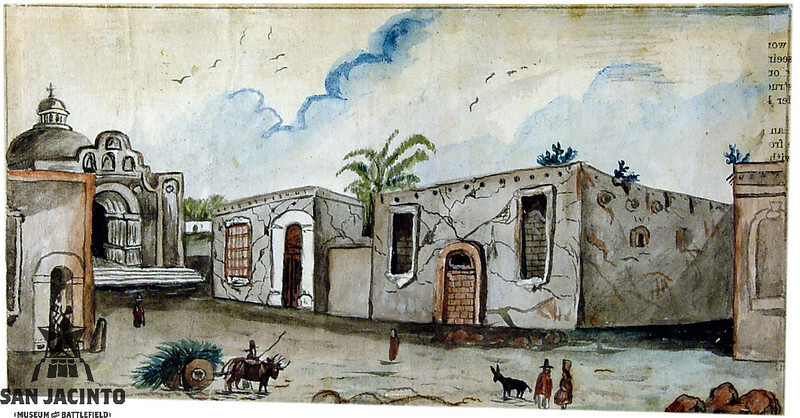 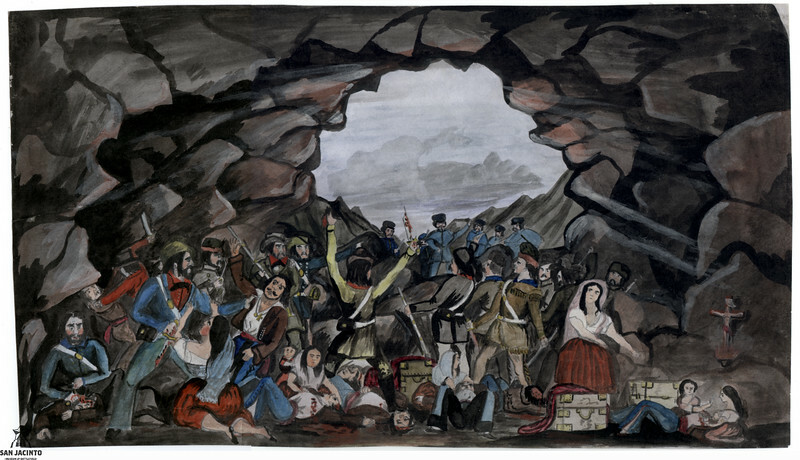 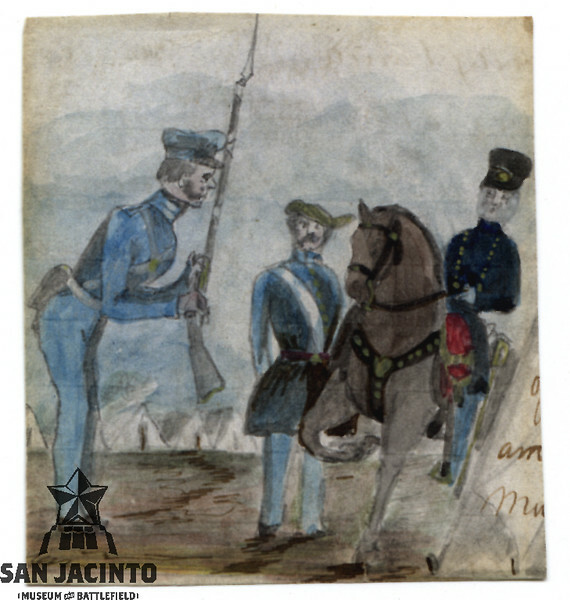 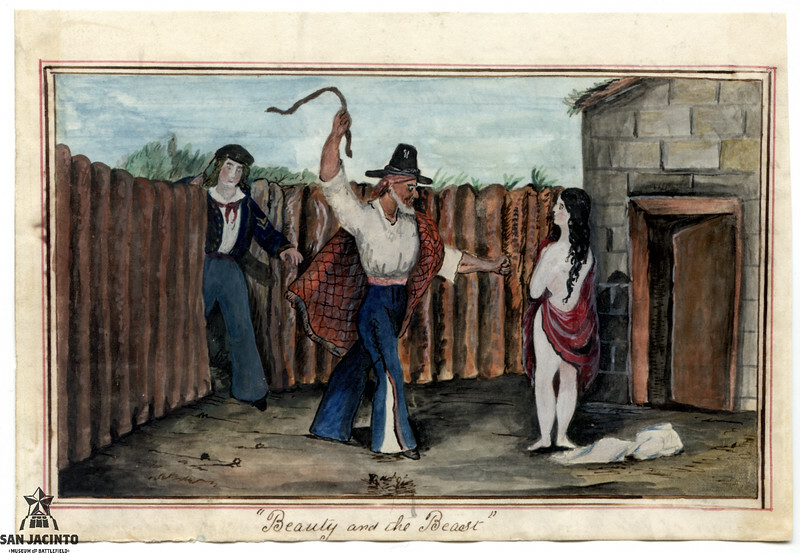 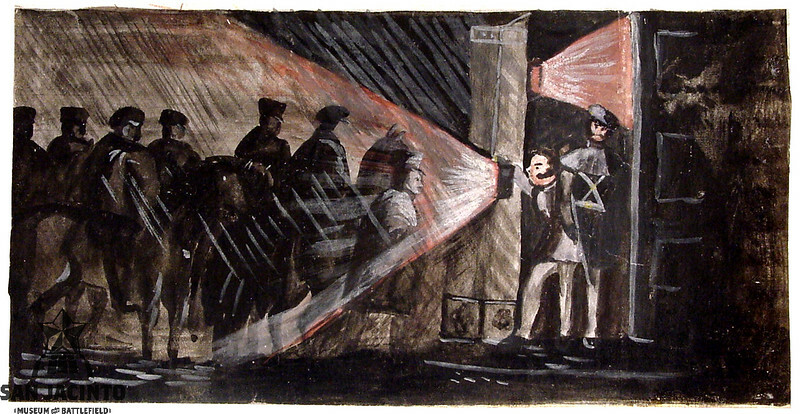 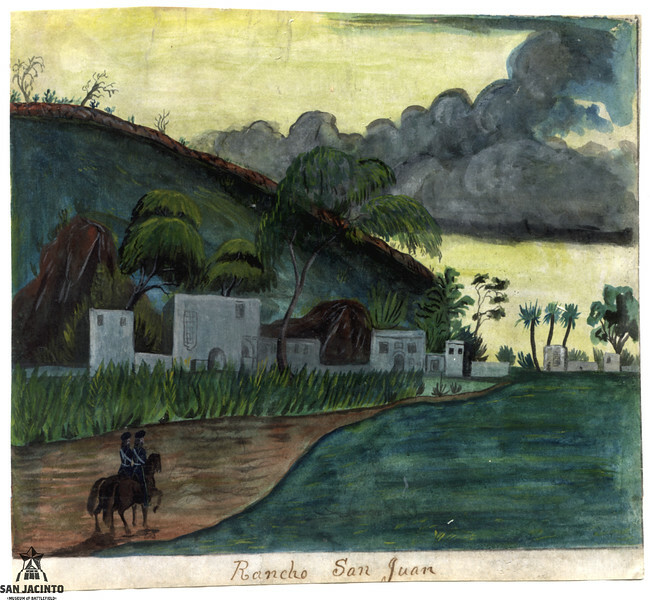 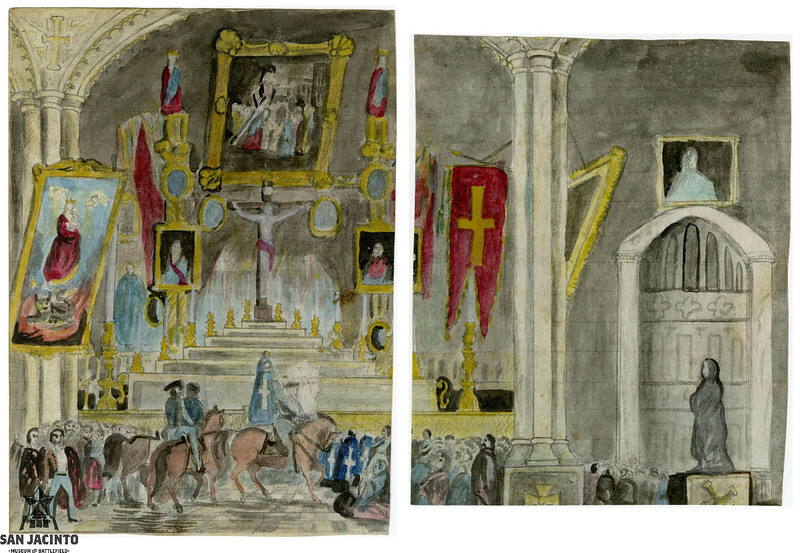 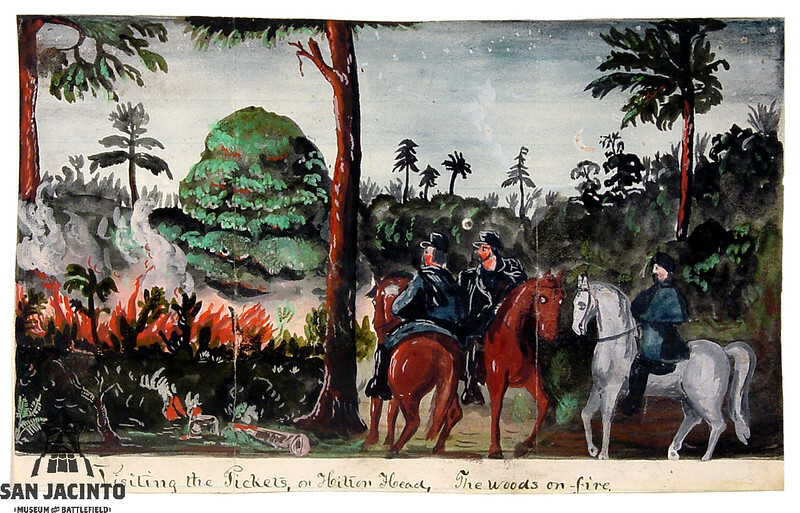 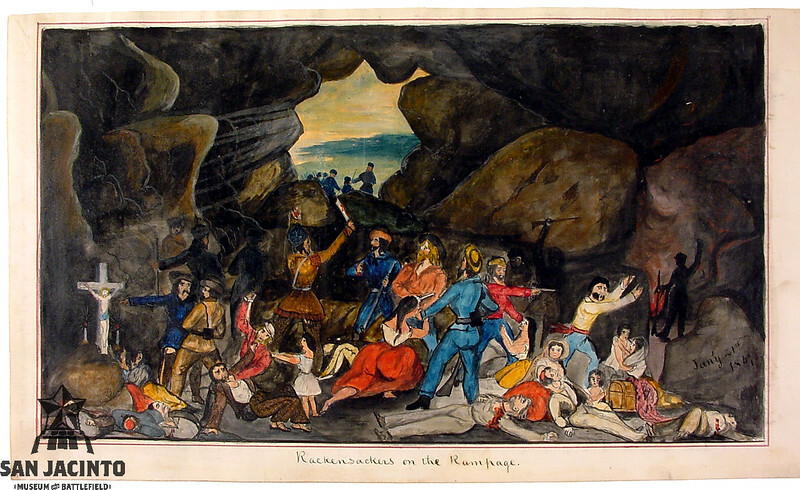 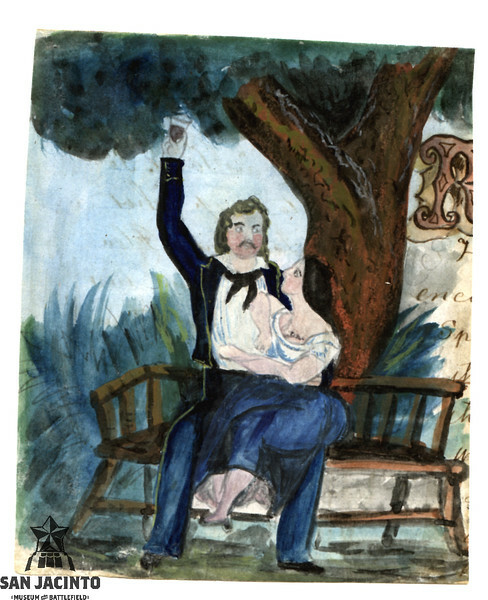 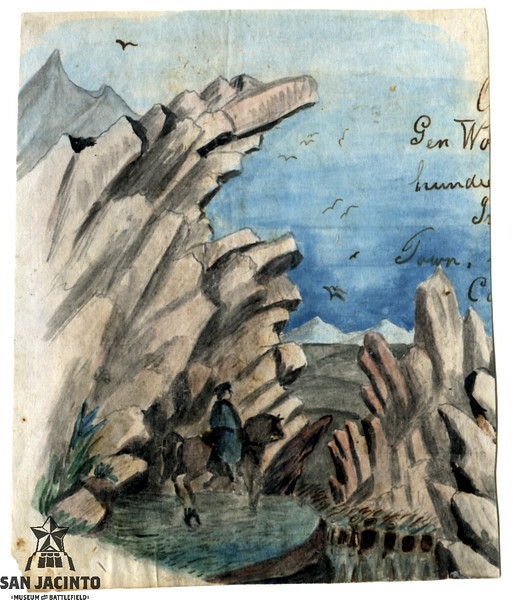 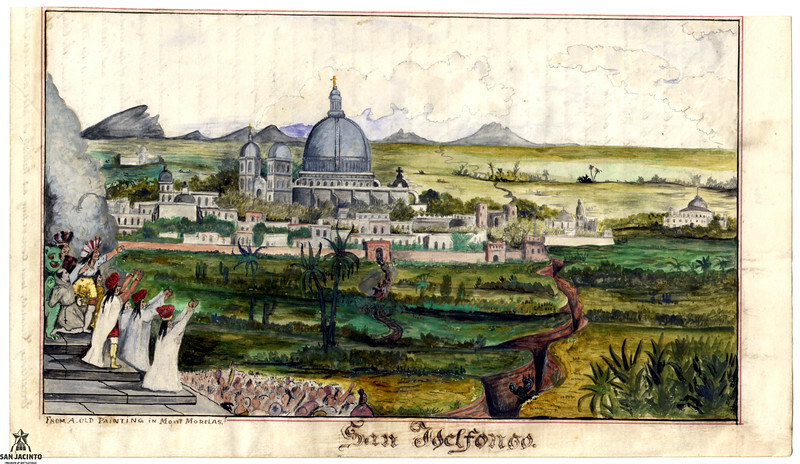 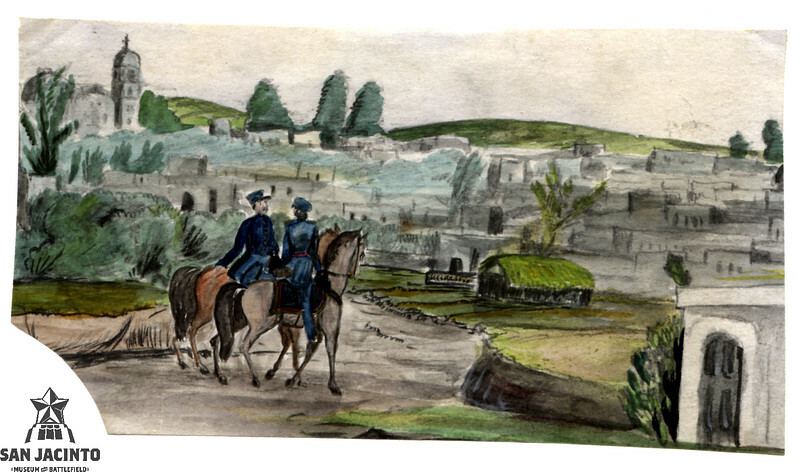 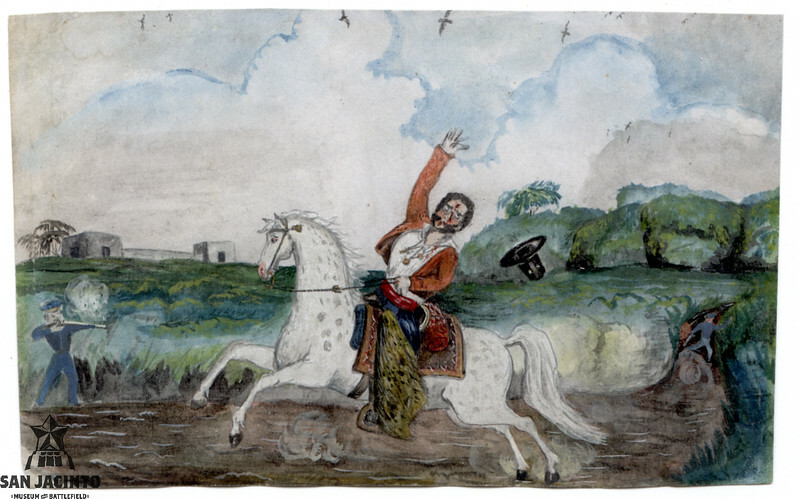 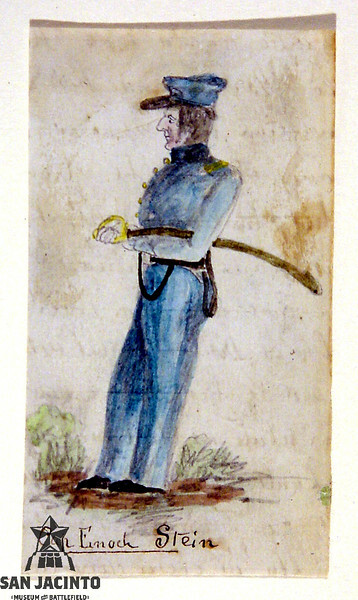 Watercolors by Samuel Chamberlain in the San Jacinto Museum of History present a soldier-artist's view of the U.S.-Mexican War, 1846-1848 , with a few from other periods in his life. 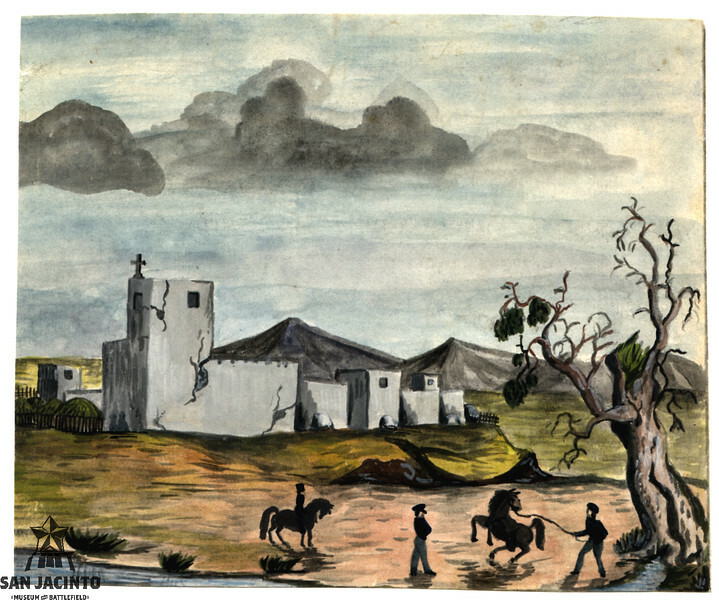 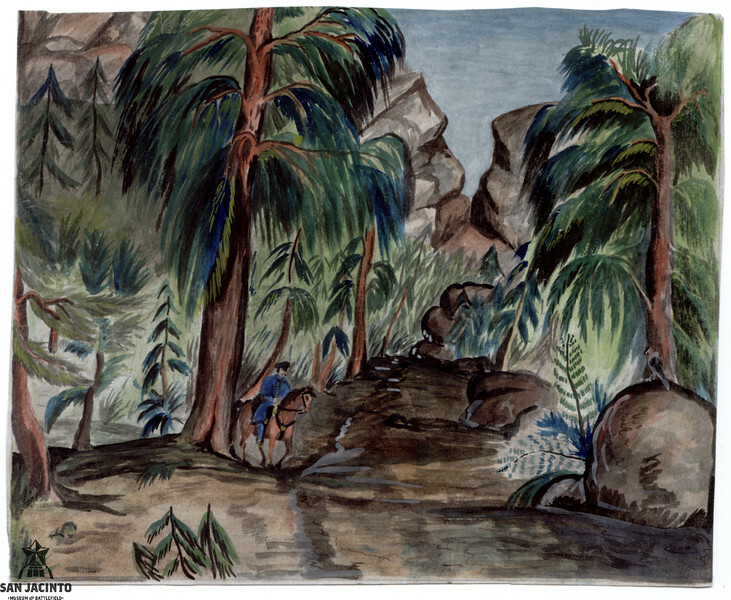 The paintings were purchased in November of 1956 from The Old Print Shop in New York, using funds provided by The Houston Endowment. 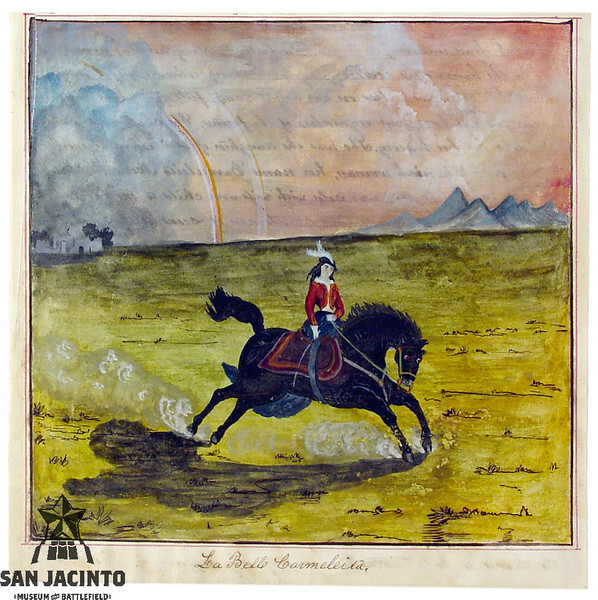 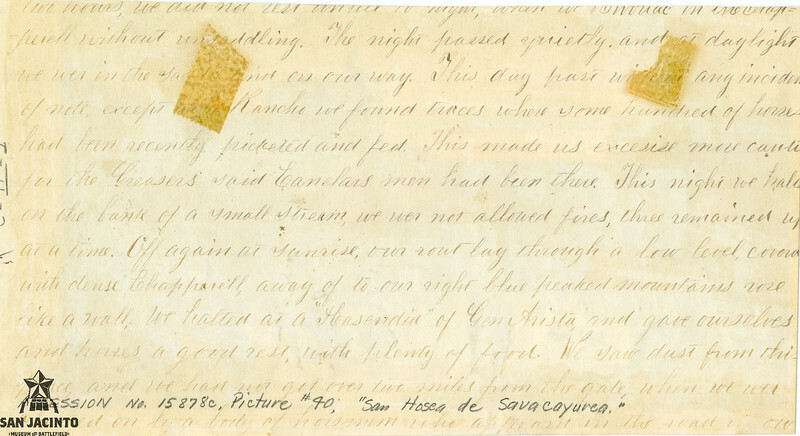 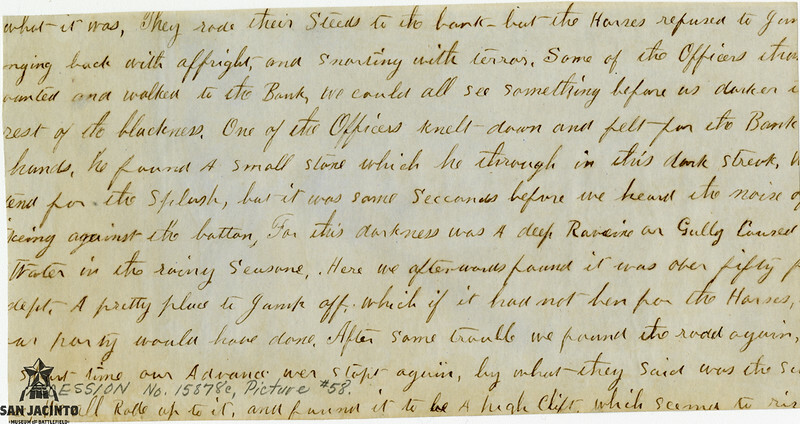 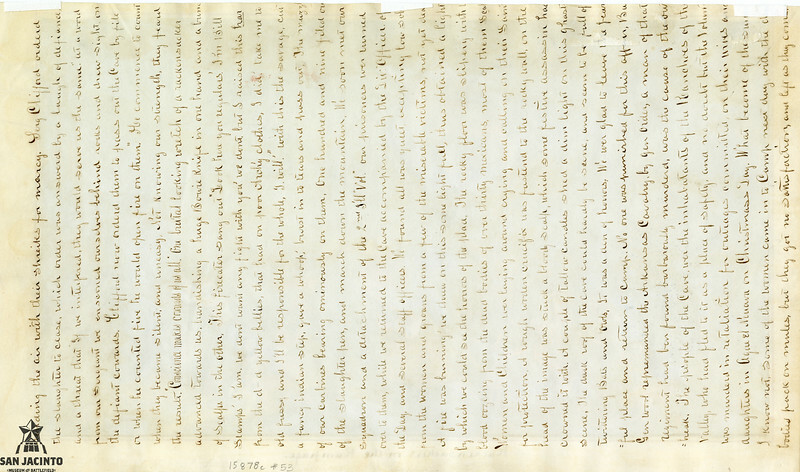 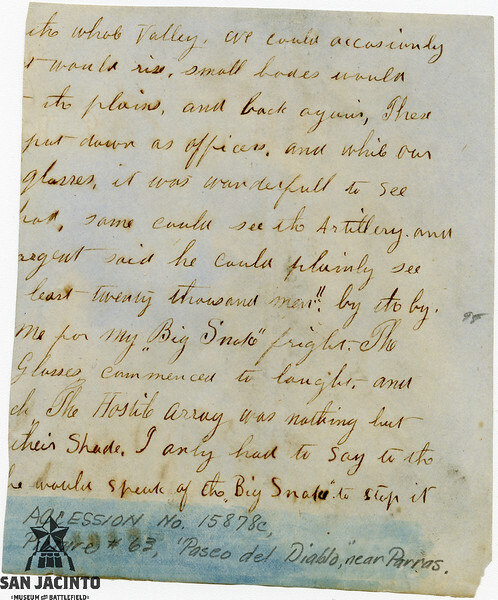 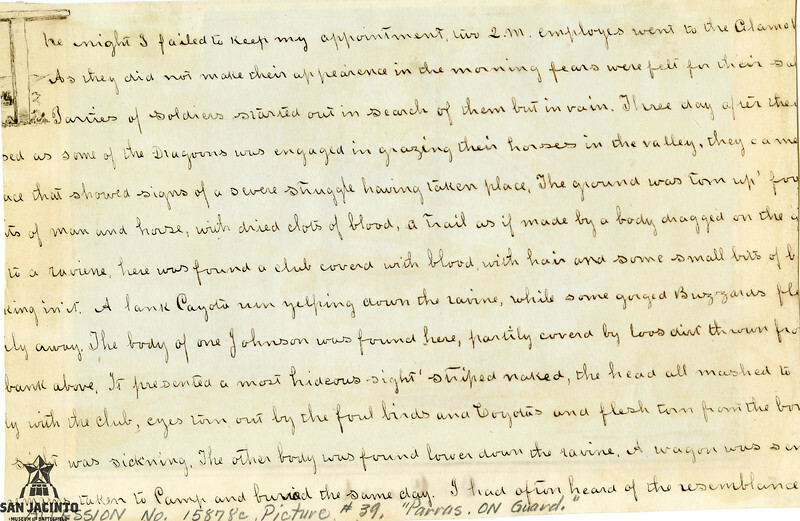 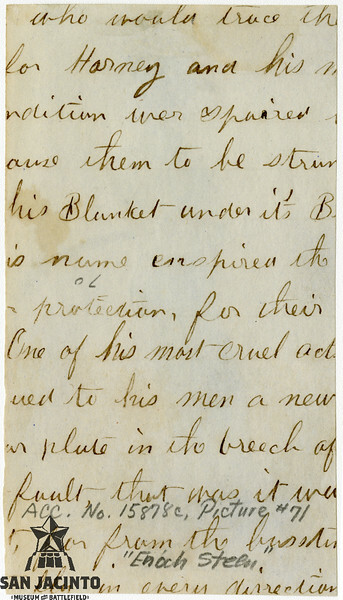 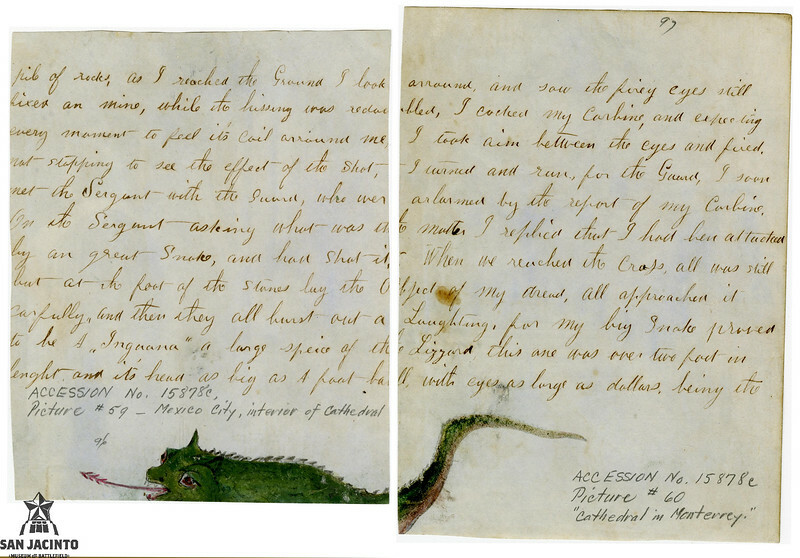 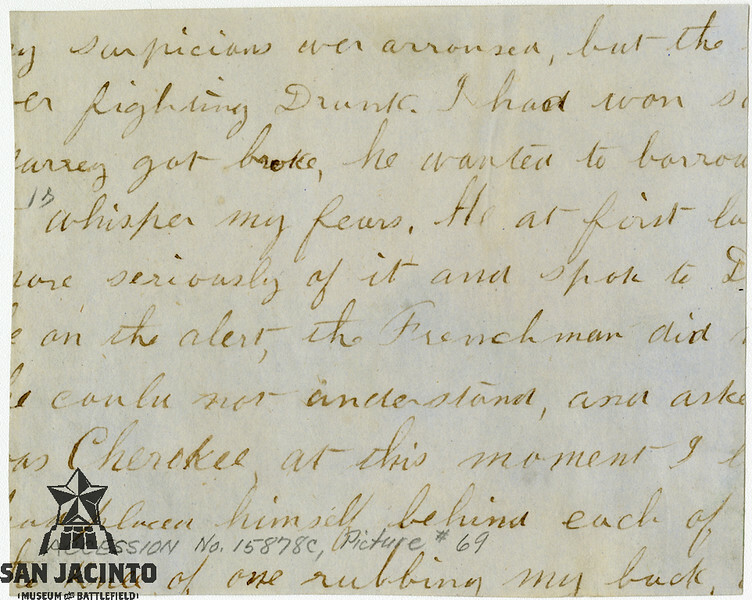 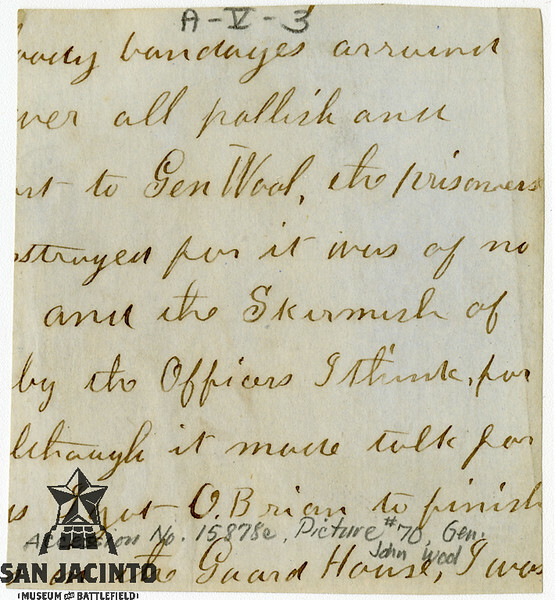 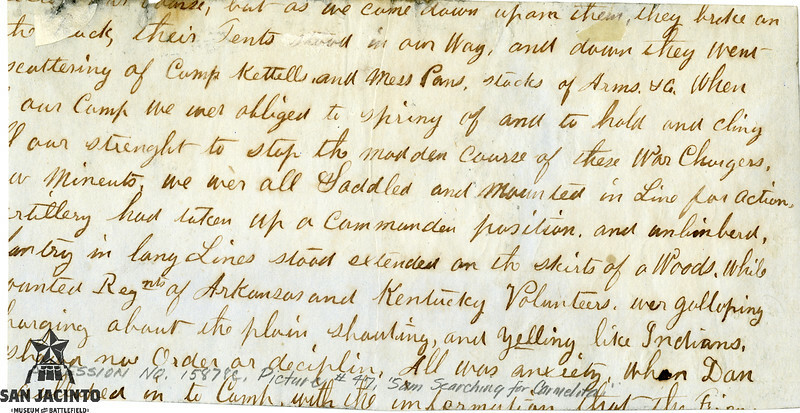 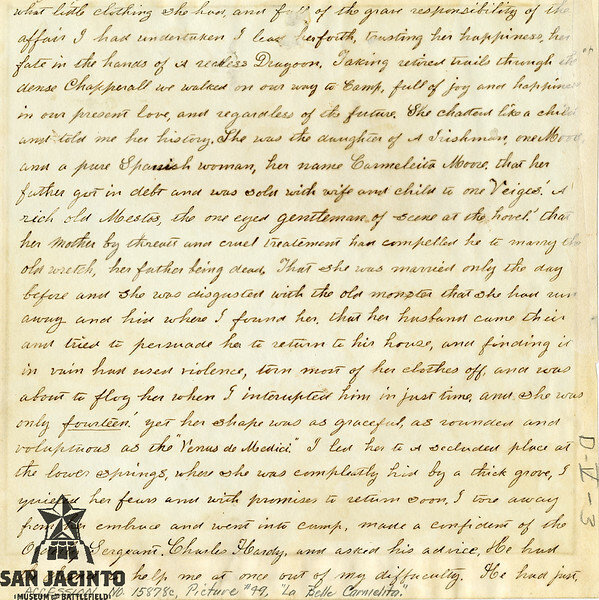 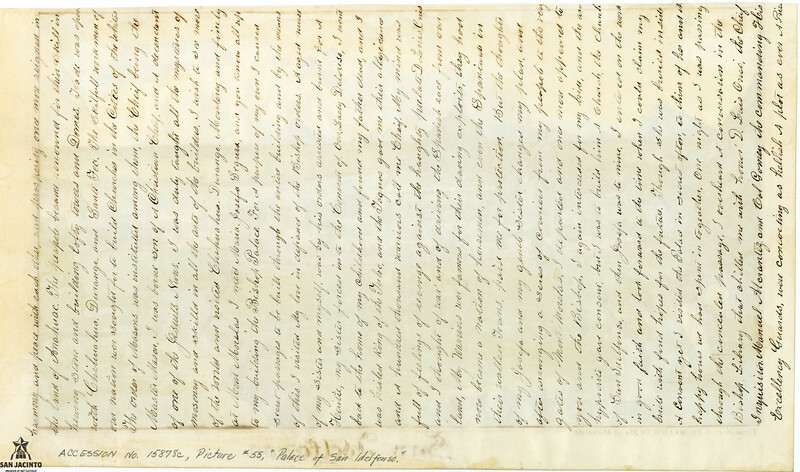 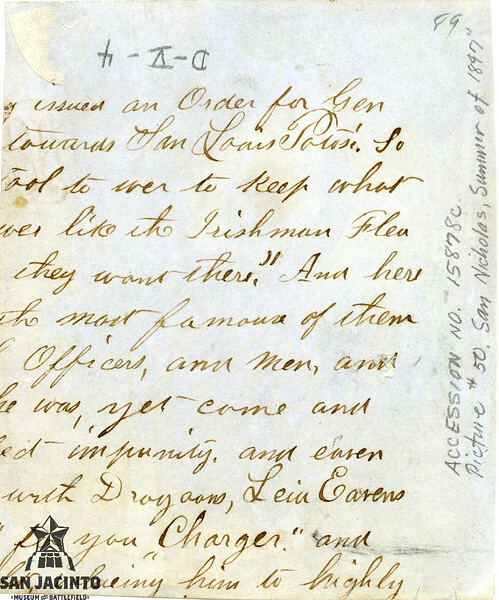 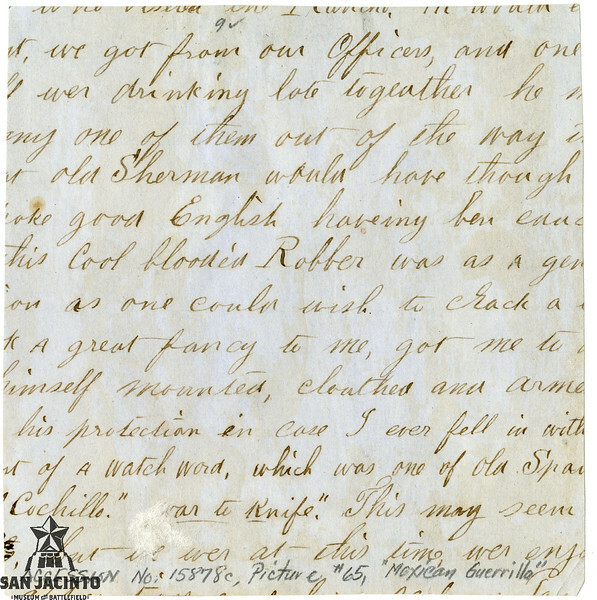 Note on titles: first title listed is the title written by the artist, if available; alternate titles are from William H. Goetzmann's book "Sam Chamberlain's Mexican War: The San Jacinto Museum of History Paintings" and from notes on the backs of the artworks. 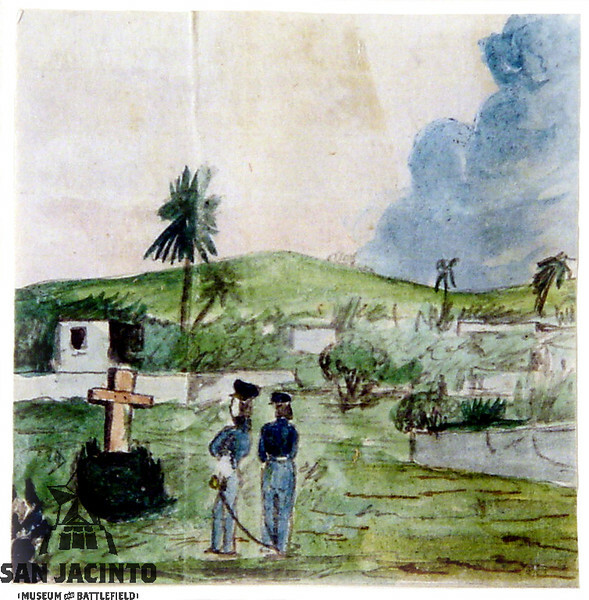 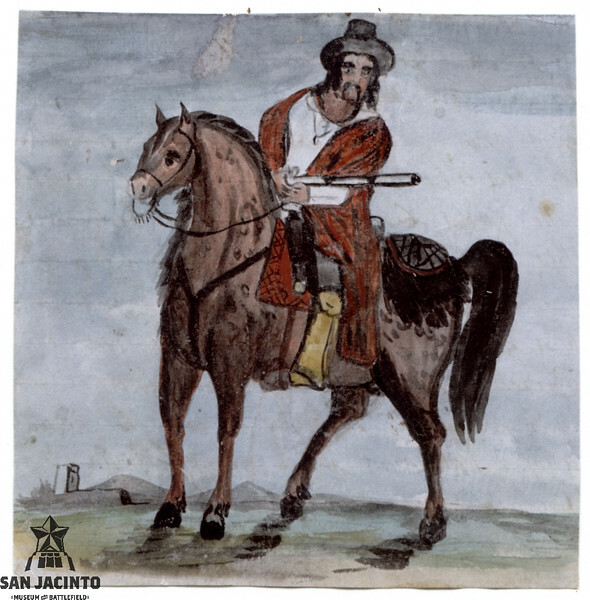 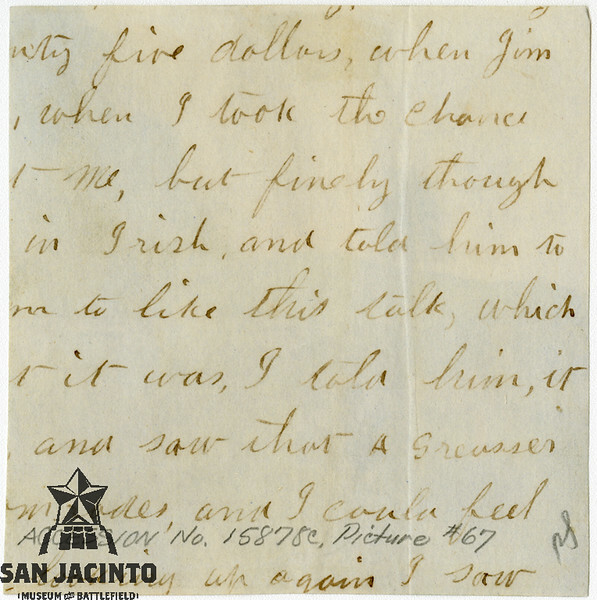 For information about reproductions, contact library@sanjacinto-museum.org.